Car makers Faraday Future may be constructing some of the most impressive electric cars on sale currently, but I hope I will never have to watch another one of their presentations ever again. In a one-and-half-hour, painfully cringe-worthy event at CES in Las Vegas, the company’s top brass informed the audience that its electric car was the first car in a 'new species' and the company was getting ready to 'reformat' the car industry. I think that they will review their performance and wish they had done it in another way. The eagerly-awaited launch of the FF91, the company’s pioneer flagship consumer motor vehicle was almost buried under an avalanche of buzzwords, clumsy errors and needless demos. The FF91 pipped Tesla’s model SP100D by one-hundredth of a second in a tedious snooze fest of a drag race. This made VP in charge of propulsion, Peter Savagian, to proclaim that it would perform much better were the stage less dusty and if the Tesla’s tires were not so grippy. Afterwards, when YT Jia (LeEco's CEO) was asked by Nick Samson, the company’s CEO, to press the button so the car would park itself on the center of the stage, the car failed to respond for half-a-minute. A flustered Nick Samson was made to fumble around for explanations, saying the car was timid like a new-born baby. After five minutes, he tried again, and after a harrowing 20 seconds had elapsed, the car thankfully made a 3-meter roll forward and some sections of the baffled CES crowd applauded. Next time the company needs to ease up on the frustrating shenanigans and reduce the duration of the presentation to twenty minutes. They should make us feel like we want more, not wish that we were dead. Leaving all that aside, the car looks gorgeous. In terms of performance, the FF91 generates approximately 1050 hp and the car has a torque of over 1800Nm.To get a proper perspective, the diesel engine of an 11,000 cc Mack MP7 semi-trailer has a torque of 1627 Nm and it does not smack into it out from idle in the same way that the FF91 powertrain does. Equipped with extra-quick traction control, the FF91 can reputedly accelerate from zero to sixty in an eye-popping 2.39 seconds. If the car was dropped over a cliff, it world attain the same velocity in 2.75 seconds. This clearly demonstrates that only road-tire friction interaction will stand in the way of EV acceleration as the technology advances. One interesting piece of information that was revealed during the launch is that the car will proactively modify its handling and performance based on your style of driving and the prevailing road conditions. When it comes to the battery, the car is equipped with the largest battery pack ever installed in a production-level EV. It has a capacity of 130khw, enough to drive for 378 miles, according to the EPA test. On Europe’s less strenuous NEDC tests, it performs even better- going for more than 435 miles. At speeds of 55 miles per hour it does 482 miles. Faraday is also working on high quality DC quick-charging stations. These will charge the car battery at an impressive 200 kilowatts,which is a major upgrade on the 120-kilowatt supercharger stations developed by Tesla.The charge-rate of these chargers translates to a range of approximately 500 miles per hour, and this is a brilliant achievement. The company is also developing wireless charging systems. With the FF91, Faraday intends the push the boundaries of the technology related to self-driving systems further. In particular, it wants to enhance the ability of the car to view and read the road. 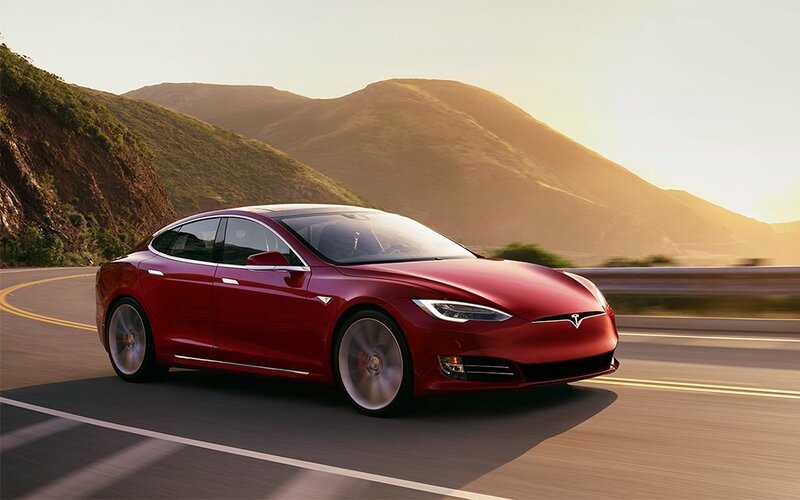 It is equipped with 10 cameras that face outwards (more than the Tesla’s 8),13 radars(compared to Tesla’s 1)and twelve ultrasonic sensors, the same number as Tesla. The car comes with a 360-degree Lidar sensor that views images in 3-D.It is built in the shape of a tiny disc that pops up from the hood, and this is one of the car’s most noticeable design features. Whereas it is not clear for now how smoothly the self-drive system will function (there has been some speculation that it will utilize deep learning to create its driving model), the car has a highly-innovative feature dubbed the driverless valet. This feature allows you to alight at the front door of your destination before the car takes off on its own to look for somewhere to park by itself, after which it sends a message to you. It must be plain to everybody that this can result in legal issues at this point and certainly it is difficult to see how this could work in a real-life setting. However, in the CES demo it worked pretty well, patrolling up and down the rows and rows of parked motor vehicles, and then neatly reversing into any empty parking spot that it finds. The company is really interested in making the FF91 a huge leap forward when it comes to connectivity. The car comes with a number of Wi-Fi hotspots and modems and also HD screens for each one of the occupants. For maximum passenger comfort, there are backseats that can recline all the way to 60 degrees in a backward direction. The car has user profiles that can be activated using face recognition, menus or Bluetooth. These allow you to save your personal preferences for entertainment, climate, ergonomics and many other aspects using a system known as FFID. Apparently, this system may also be integrated with PCs, smartphones and other devices. This ensures that you do not need to look away from what you are reading or watching. The objective here is to have a smooth movement between the numerous speakers and screens in your life. The company did not release the final price today, even though it was emphasized that the car pricing will reflect its status as a flagship model. As a result, we can expect it to be highly-priced, based on its excellent performance, specifications and a huge battery. If you are one of those people who do not consider price to be important (and the valley has a good number of such people), for five thousand dollars,you can make your reservations for one car now. The special editions, dubbed 'Alliance', will start shipping from the month of March.